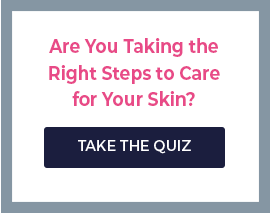 Looking for luscious, full, and pouty lips? How about a beautiful pop of color? GloMinerals offers a gorgeous array of lip makeup and treatment to beautify your lips with color, provide a full, pouty smile, and coat your lips with beautiful color. Whether your looking for high-gloss shine or subtle, natural color, GloMinerals can give you exactly what you need. GloMinerals lip products are more than just makeup. Featuring active ingredients that penetrate the skin to revive its appearance, GloMinerals lip products revive the skin, provide fuller lips, and nourish the lips with reviving moisture. At the same time, the formulas protect the lips from environmental damagers and the harmful rays of the sun. If you’re looking for perfect color, try GloMinerals Lipstick. Available in 21 rich, vibrant colors, GloMinerals Lipstick coats the lips in beautiful hues that complement any skin tone. Another great way to get gorgeous lip color is with GloMienrals Royal Lip Crayons. These unique lip pencils coat the lips with thick, luxurious color, filling in creases and lines for a youthful, vibrant smile. Perhaps you’re hoping to get a more sublet look. Try GloMinerals Sheer Lipstick. The nourishing formula gives the lips a gorgeous shine with just the right amount of color. In the same way GloMienrals Super Star Gloss give a high gloss finish to the lips with beautiful, but not overwhelming hues. 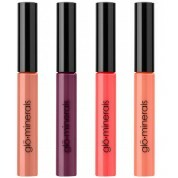 GloMinerals Liquid Lips works in much the same way to give high-sheen with just enough color. And there’s more than just makeup! GloMinerals also offers a series of lip treatments to give you fuller, smoother lips that look and feel gorgeous. For instance, GloMinerals Lip Plumper stimulates cell activity for increased collagen synthesis and fuller, poutier lips. GloMinerals Exfoliating Lip Wand works in a similar way to improve damage and provide smooth, full lips. Try GloMinerals lip makeup and treatments today!